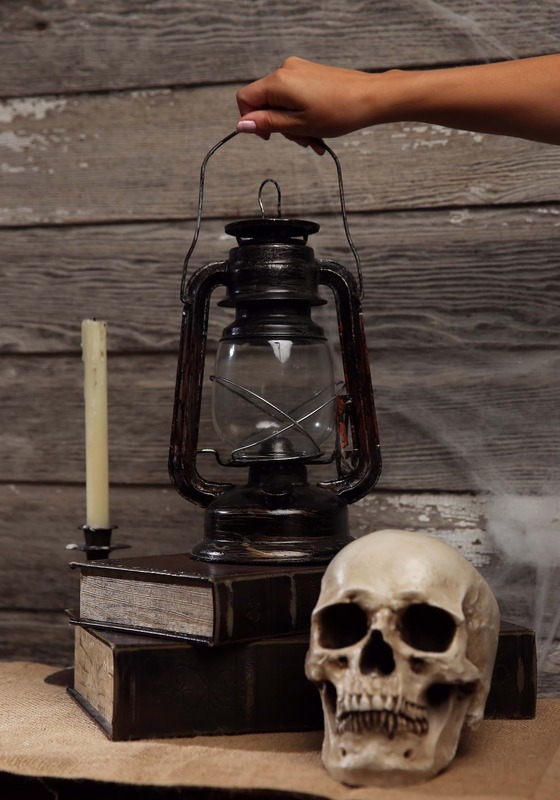 You can light up any haunted house with this spooky old lantern. 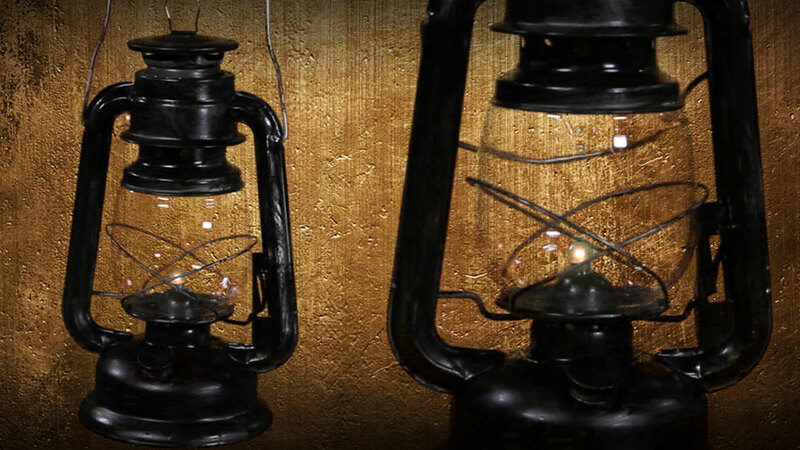 The lantern is made of light-weight metal that is brushed with black paint to give it an aged and tarnished look. In the center, a small light bulb is encased in a glass globe, which lights up with the press of a switch on the bottom of the lantern. The lantern requires a 3 AA batteries (not included) to operate, which are also housed in the bottom. The top of the piece features a metal hoop, which allows you to hang it up anywhere. The lantern also features metal handle for carrying it around. It adds a creepy mood to any Halloween theme!